We all are familiar with the various types of SSL certificates, used to enhance the security quotient of the websites. The function of these certificates is to establish a secure session between the server and the browser. SSL certificates provide security via encryption. But what about the authentication protection when phishing and cyber crimes are at burgeoning rates? 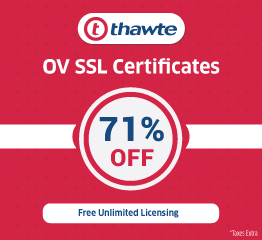 The prices of the SSL certificates vary depending upon the type of protection it offers. Validation is a way that offers varying levels of authentication services. A business needs to undergo extreme vetting in order to obtain a higher degree of validation certificate. 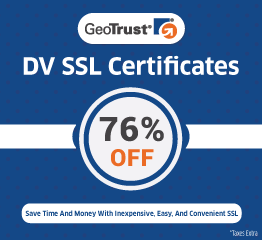 Domain validated certificates are the cheapest and offer the least protection. While the Organization validated certificate is a bit expensive and offers a greater degree of protection. Finally comes the extended validation certificate that assures the highest authentication security. Domain validated certificate: These certificates are the cheapest ones and they are checked against domain registry. No backing for organizational information, hence never use for commercial purposes. When there are not much security concerns, use these certificates. For example, a personal blogging website or small businesses. Organizational validated certificate: These certificates are backed by organizational details and are strictly authenticated for business registry databases hosted by the government. They contain legitimate business details. Hence regarded as the standard certificate for websites that are open for public use. Extended validation certificate: This serves the whole purpose of the highest level of authentication and one need to go extensive vetting in order to get an EV certificate. You should have up to date registration information of your business at your hand to avoid extra overhead. An EV SSL grants you a green visual indicator or better say the green URL bar. The most common drawback with this kind of certificate is the cost that comes with it. It’s highly expensive but worth using as it helps to improve traffic on the website. 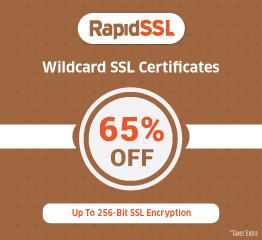 Wildcard SSL: A wildcard SSL is a type of SSL certificate that allows you to implement a single SSL on the sub-domain as well. No need to pay any extra amount for each sub-domain rather buy a wildcard SSL and it covers it all. A wildcard SSL is not available in EV you will have to go for OV. SAN/multi-domain SSL: As the name, multi-domain suggests that this type of SSL is best if you own multiple domains and want to protect all of them through SSL certificate. When you generate a CSR(certificate signing request) then, in that case, you will have to list the name of all the domains in the subject alternative name(SAN) fields.